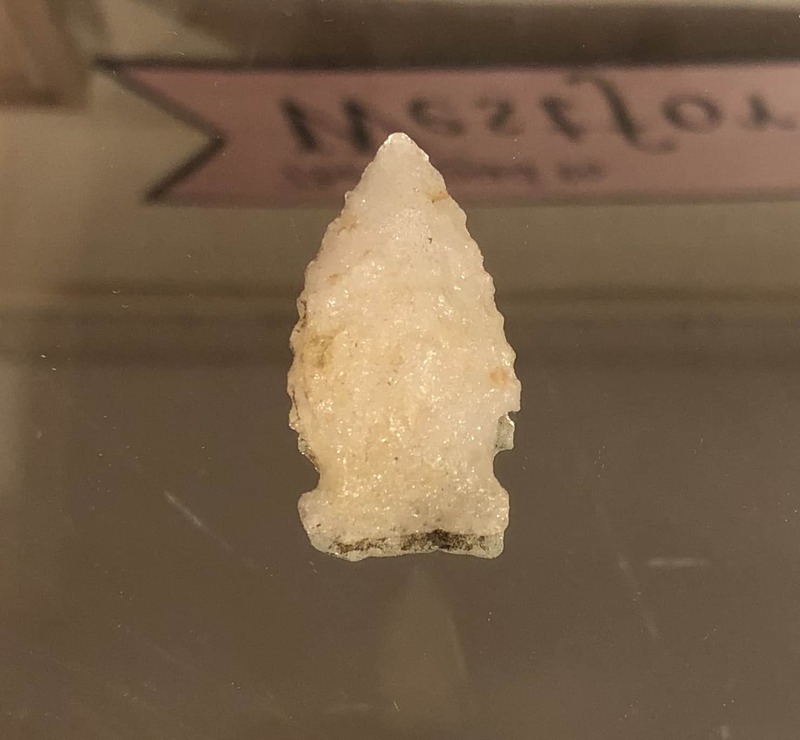 Biface projectile point (arrowhead) dated to the Late Archaic Period, approx. 6,000-3,700 years ago. It was found in 1960 near abandoned Red Line railroad near Flagg Rd. 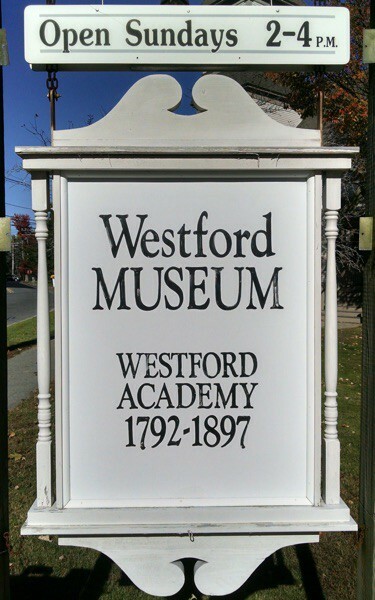 in Westford, and donated by past resident Huntington L. Wells (1913-2010), son of Dr. Orion Vassar Wells (1880-1918). 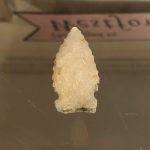 This might be the oldest artifact in the collection.